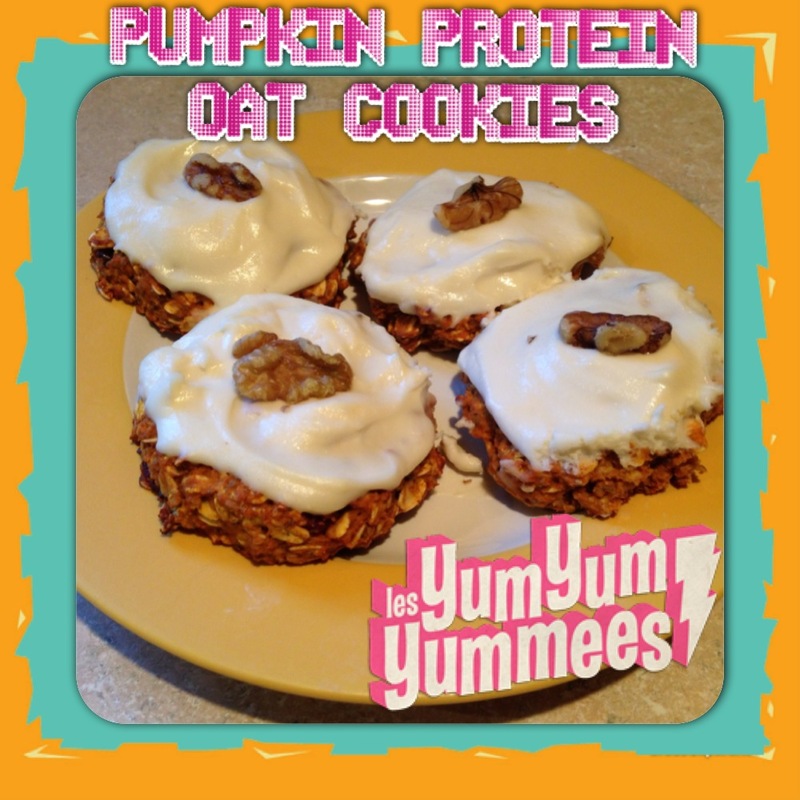 These cookies rocked my world… I started with a recipe that I found online at http://www.puertoricanfitchick.com, and then I added and subtracted a few things. The beauty is that the nutritional content is so clean that I ate one for breakfast, one after my workout, and then I returned and had one for dessert as well. I hope you enjoy them as much as I do! (1) Pre-heat oven to 375 degrees. Mix all ingredients for cookies in a large mixing bowl. (2) Line a baking sheet with either parchment paper or a Silpat. Using a 1/4 size measuring cup, scoop out cookies onto a baking sheet. Use your hands to mold them into cookie shape and press them down slightly to flatten them a little. (3) Bake for 15 minutes or until golden brown. (4) While cookies are baking, put frosting ingredients in a mixing bowl. Using an electric mixer, beat the mixture until it has the consistency of frosting. (5) After cookies have cooled, smear frosting on and decorate with one walnut. DEVOUR!